As I work on my novel revision, one of the things I'm trying to do is to create stronger characters. There are a lot of elements that go into this, but one of the things I noticed is that I have almost no physical descriptions of my characters in my writing (though I do have a lot of scenes showing physical reactions and what they are doing). Does it matter? 2. Showing. The old show vs. tell comes up here again. It's easy to throw in an adjective to describe; much harder, but more effective, to show physical characteristics through what the character is doing or through reactions (e.g., brushing long hair out of their eyes to avoid answering a question). 3. Giving out details bit by bit. I try to avoid info dumps of any kind, including descriptive ones. As a reader, I like the way the character develops in my mind as a story moves along. Part of that is learning more about what they look like, or, even better, what is significant about the details of their appearance the author has chosen to include (e.g., their eyes are the same colour as their grandmother's). 4. Being specific. I figure that if I'm only mentioning a few physical details, they'd better be the most relevant ones. Something that will help readers remember my character and something that helps show their personality, without seeming too unnatural or contrived. Do you have any tips for writing physical descriptions? How do they affect your reading? I notice that The Bookshelf Muse has a great post on writing physical descriptions you might want to check out. The Sharp Angle has some great advice and examples for describing physical appearance. Darcy Pattison uses Chris Crutcher's Whale Talk to illustrate how to use interesting details to create characters. Agent Mary Kole talks about character self-description, and you can find some great points discussed in the comments to the post. In the first book of The Magic Thief series, street thief Conn finangles his way into an apprenticeship with important wizard Nevery – who provides support as Conn searches for his “locus magicalus”, a special object that will allow him to talk to wizard magic. Conn’s search for his locus magicalus continues in The Magic Thief: Lost, (after having found it and lost it in Book 1) but since he doesn’t have it, he tries to use the power of explosions to communicate with the magic. After his explosive experiments cause some serious destruction, Conn ends up exiled from his city, Wellmet, but the magic leads him to join his friend Rowan on a journey to Desh to try to fight the mysterious Shadows that are turning the people of Wellmet to stone. If you’re looking to see how to develop a character and see the world through his perspective, this book is a great example. The writing has a good balance of description and action, and the story moves along well. I liked the way journal entries and letters bring in points of view of other characters in the series. This is clearly a middle grade novel, and I think it would be enjoyed by both boys and girls. This book is part of The Magic Thief series. The author includes backstory to catch you up on what you’d missed, but I’d definitely recommend beginning with Book 1. For more info, visit Sarah Prineas’ website. The other day I was working at my computer, brainstorming obstacles and problems to help strengthen my novel plot for the big revision I'm doing. My twelve-year-old walked in, looked at the screen and said, "That looks like homework." Good thing I always kind of liked homework when I was kid. Twelve-year-old Maggie has a job walking dogs. (Ssh! Her parents don’t know about it). 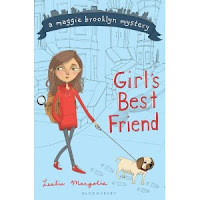 When Maggie's twin brother, Finn, gets stuck inviting Maggie's ex-best friend, Ivy, to their joint birthday party, Maggie catches Ivy stealing her dogsitting money. Then she finds out that Ivy's dog, Kermit, is being ransomed by a dognapper, and Maggie starts to investigate. Reluctantly, Ivy agrees to help (imagine working on a project with your ex-best friend). Things get even more complicated for Maggie when other dogs start disappearing and the boy she likes, Milo, seems to be involved. This book is the first in the Maggie Brooklyn series. The second book, Vanishing Acts, comes out in December 2011. For more, go to the fun Maggie Brooklyn website. The process of reading (whether the book is digital or paper) is interactive. As we read, we make guesses and draw conclusions, work out implications and connect what we already know to what we're reading. One of the things I watch out for when I'm writing is to not over-explain or over-describe, so the reader has some space to bring their own experiences to the story. "...if the writer provides a few of the right visual details, plus some sounds, smells, and sensations, plus the viewpoint character’s reaction, the reader will generally fill in what’s missing with his/her own details…and the resulting image will be more powerful because it’s tailored to fit each reader by the readers themselves." Patricia C. Wrede, Making an Impact. Whether you write scary stories or you just want to create a strong emotional experience for your reader, your character is likely to be afraid or anxious at some point in your story. What do children’s writers need to know about fear? Not all fears have the same intensity. Fearful reactions are linked to personality and past experiences. One kid might be only a little anxious about starting a new school while another might be really scared. Think about what past experiences your character might have had to create or develop the fear. Fears can be unique. Even though some fears are common to many, some children have a specific, unusual fear that continues through childhood. For example, someone I know was afraid of automatic flush toilets for most of his childhood, after losing a coin in one as a young child. Because everyone has experienced fear or anxiety at some point, including a character’s fears in your writing can help you connect with readers. Fear may also be a way to provide a flaw or problem your character needs to overcome, or to increase the tension in your story. Show fear through actions. Behaviour is a big giveaway to fear, but beware of too much emphasis on physical reactions (there are only so many times a character can feel their heart pounding). In the real world, we often gauge our reactions through how other people react. If your secondary or minor characters act afraid, that can add to the reader’s fear for the main character. Choose details carefully. Over-describing a scene might actually take away from the scariness of an experience because nothing is left for the reader to imagine. A little fearfulness can go a long way. Add surprises and twists. Scary things sometimes burst out at us (like in a haunted house) or come at a moment when they aren’t expected. Suspense. A slow build up of tension can create a feeling of “on the edge of your seat” or shared fear with the character. If you know the character is afraid of something, but not when he will encounter it, that can create suspense in a story. Be clear on your purpose. Although parents often look for books to help children cope with fears, it’s an entirely different thing to create a story with fearful events for the purpose of entertainment. Readers of middle grade books may be looking for the thrill of reading something scary. Or maybe just to relate to a character because they share the same emotional experiences. Have you read any good books where the writer has used fear effectively as an element in the story? Or, do you have any tips to share on using fear? *As usual, if you know of any good links on this topic that would be helpful to writers, let me know in the comments and I’ll add them to this list of resources. Sara Todd gives us some strategies for writing horror for kids. Over at Paranormal Point of View, Lisa Gail Green gives us some ideas for how to create fear in the minds of readers. At the Bookshelf Muse, Angela Ackerman and Becca Puglisi have a comprehensive list of ways to describe fear in their Emotion Thesaurus. For a list of some scary middle grade books, check out Stacy Whitman’s Grimoire – Scary Middle Grade Books. At Kids Health, kids talk about feeling scared. At Anxiety Care, there’s lots of info on kids fears and phobias. Scholastic.com tells us some of the biggest fears for kids starting middle school. If you’re struggling with the issue of whether to include something scary in your novel, Jennifer Neilsen of From the Mixed Up Files writes about whether scary stories are okay for children. If seventh-grader Gianna Zales doesn't finish her leaf collecting project in time, she will lose her chance to compete in the cross-country sectionals. She’s not the best at organizing or managing her time and she finds lots of excuses for starting it later. At the same time, she and her family are struggling to deal with her grandmother’s memory loss and confusion. And Zig, a boy who used to be her best friend is starting to think of her in a different way. Gianna’s character was what really pulled me along to finish this story. I loved it that she wasn’t super organized and got distracted like an ordinary kid. The issues she faces in the story seemed very real to me (though I got annoyed at her mother for not being more aware of the Alzheimer’s issue). As a MG writer, it’s great to see how a lot of different plot threads (e.g. boys, mean girls, family issues, school work issue) can be tied together in one story, because this is something that I find challenging in my own writing. This is a stand alone novel. Along with being a writer, Kate Messner teaches English in middle school. 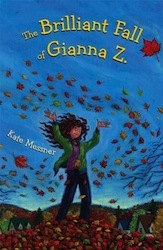 She is active in the writing community, on Twitter @KateMessner. Are You Too Busy for a Journal? One of the things that I tend to ignore when I'm really busy with a writing project is journalling. But I think I'm making a mistake. Even though working on my story every day keeps it flowing and keeps me in the right frame of mind for writing, I think there's a lot to be said for taking a keeping a journal too. For me, my journal is my idea space. It's where I ramble, write notes, collect ideas and ask myself questions. Even though I may be busy working on my writing, taking a few minutes to journal can help me clarify my thoughts. It also gives me a place to reflect on my progress. I can keep track of what I've accomplished so I know it and recognize it, even though it might not mean so much to someone else. Do you keep a journal even when you're working on an intense writing project? If you're struggling to find time to write, maybe the MiG Writers can help. This week, we're sharing some of our tips for making time for writing. 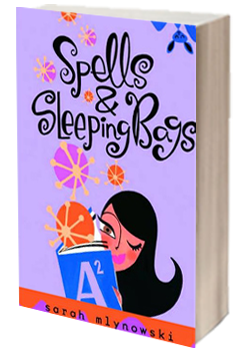 As Rachel heads off to summer camp, her magical powers are starting to kick in, but they’re a little out of control. As if that wasn’t challenging enough, she has more problems: getting the attention of the boy she likes, trying to help her little sister be less socially-inept, dealing with a girl who seems to hate her and learning to swim. The tone of this book promised a fun, girly story with a sprinkle of magic and that’s exactly what it turned out to be. One of the strengths of this novel is the way the author writes dialogue. The characters really come alive through their conversations. There is minimal description here, just what is needed, allowing the story to move along at a good pace. Although it’s categorized as a teen novel (there’s a lot of talk about kissing), I’d say it’s more “tween” and definitely of interest to 12- and 13- year old girls who are thinking about first crushes, first kisses, making friends, fitting in and other middle school issues. Plus, it has that magical element to add to the fun. For more, go to Sarah Mlynowski’s website. "...there is one thing your story absolutely cannot be, and that is predictable." Think about that last section you wrote. Is it what your reader would expect? Maybe you need to change it up a little. Because if your writing is too predictable, chances are, you won't be creating that fresh, original work that agents and publishers are looking for. Do you have any tips for how to keep from being too predictable in your writing? Even though I'm not officially participating in NaNoWriMo, I've been inspired by the many of you who are (including my crit buddy Christina Farley). So I've decided it's time I buckled down and got some serious writing done on my latest project. One of the things that keeps me focused while I'm writing is to think about what I want the overall tone or feeling of the book to be. Is it a quiet, thoughtful book? Something scary? A funny, entertaining story? A gripping adventure? Thinking about the overall impression I want to make with my story helps me make choices about what I need to show the reader (and what can be summed up in a line or two). What helps you stay focused on the story when you're writing? Thirteen-year-old Ben is getting a new baby brother—a chimpanzee. Ben’s parents are both behavioral scientists and they want to prove that animals can learn American Sign Language. They think that raising a chimp in their home, like one of the family, is the best way to do it. If that wasn't hard enough, Ben has to deal with moving to a new city and a new school. Although it takes a while for Ben to warm up to his chimp brother Zan, over time they build a strong bond. At the same time, his father's research project experiences some issues and the conflict grows between Ben and his father. Eventually, Ben has to choose between loyalty to his family or to his brother. This story takes place in the early 1970's in Canada. This well-written novel really makes you think about the relationship between animals and humans. I admired the way research and information about the study of chimps is so skillfully blended into the story. With strong characters, bits of humor and lots of tension, this book was hard to put down. It kept me thinking long after I finished it. This story will appeal to both boys and girls, especially animal-lovers. The story isn’t only about the animal-human relationship, it’s about friendships, family and the love that brings living beings together (or keeps them apart). A note for fans of Kenneth Oppel's other books - this one is quite different, but still a compelling read. This novel has been optioned for film. Half Brother has won the Ontario Library Association's 2012 Red Maple Award. This reader's choice award is chosen by tens of thousands of grade 7 and 8 students across Ontario. This is Oppel's third win: Airborn and Skybreaker were previous recipients. 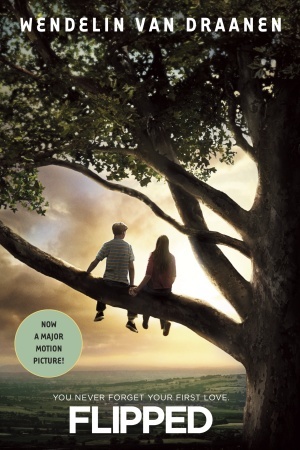 It has received several awards, including the 2011 Ruth and Sylvia Schwartz Book Award in the Middle Reader/Young Adult category, the Canadian Library Association Book of the Year Award and the Canadian Library Association Young Adult Book Award, and has been named as 2011 Best Book for Young Adults by the American Library Association. Kenneth Oppel shares some of his thoughts about writing this novel on his blog in written form and in this clip as he accepts his awards. For more, go to Kenneth Oppel’s website. Halloween has always been one of my favourite celebrations. It's hard not to get caught up in the enthusiasm of the kids. There's planning the costume, decorating of the yard to make it spooky, the traditional pumpkin carving, and of course, sorting and tasting all those yummy treats from the giant bag of loot. For many kids, I bet Halloween ranks right up there with birthdays and Christmas as one of the year's best events. Strangely, I've never included Halloween in a story. When I think about how important it is to kids, now I want to. What kind of pumpkin face would your character make - scary or silly? How would they decorate - sweet smiling ghosts or a bloody murder scene? What costume would they wear? Would they collect treats or play pranks? Have you ever included Halloween in a story? P.S. The photo shows the pumpkins my daughters and I carved two years ago. Which pumpkin do you think I carved? How is your writing going lately? Over at MiG Writers, we've posted a few of our tips for breaking a writing block. Some of you might know that in addition to trying to write MG novels, from time to time I work on stories for young kids who are learning English. Writing for kids learning English requires some different writing skills than working on a longer piece or a novel. I enjoy the challenge of trying to fit in a repeated phrase or language structure that readers can learn, while trying to make a very short but interesting story. I also learn little bits about the culture and life in Korea, even though I've never been there, because it affects what I can include in a story (places or sports kids are familiar with, activities they might do, etc). What kinds of writing do you do? Does one kind of writing help you with another? What a fun story! This is an excellent example of a younger middle grade read (the publisher suggests ages 7 to 10), though I caught my 12-year-old sneaking a peak for a quick after school read. This book has a cool setting (the kid lives over an ice cream shop), a main character with a good sense of humour, and a creature with magical powers (an unusual invisible animal). I think it’s a great example of how to weave some issues that kids face (how to cope when a friend moves away, bullying) into an entertaining story. A sequel, Invisible Inkling 2: Dangerous Pumpkins, is scheduled for publication in Summer 2012. For more, go to Emily Jenkins’ website. Do You Need Backstory in Middle Grade Novels? When you’re writing for middle grade readers, you need to keep the story moving. Backstory, or information about the background or history of characters and objects, can create an info dump that stops the action of the story, or at least slows it to a snail-like crawl. Does that mean backstory is a no-no for middle grade novels? I think you’d have a hard time finding a novel without any backstory at all. As middle grade writer Laura Pauling points out, we need backstory for helping to create characters with depth. Knowing some background about a character can help develop a character’s motivation (e.g., Harry Potter’s backstory of surviving Voldemort’s attack as an infant). And knowing what a character has gone through in the past can sometimes help us feel more emotionally connected to characters. So the trick is to somehow include the backstory so that it doesn’t get in the way of the real here and now story of the novel. Weave it in gradually. This is the most common tip I see in articles about backstory. Avoid an info dump by giving key details about the character’s past in small pieces, rather than a long explanation. Make sure it’s necessary. I think it’s so important to only include backstory where and when it’s needed. Like other elements of your story, it has to be something that the reader really needs to know at that particular point in the story. Maybe it will keep the reader from being confused. Or maybe it shows why the character has made a decision. If it doesn’t have a purpose that helps move the story along, you might not need it. A lot of advice I’ve read (including Donald Maass) says not to include backstory at the beginning, when you’re trying to hook your reader. Make it interesting or make it quick. If you are including some backstory and have found a natural place to bring it into your story, there are different ways to fold it in. You could just directly state it and quickly move on. Or you might bring it in through a brief memory, especially if you’re trying to develop an emotional connection to your reader. Flashbacks could be another way, but I don’t see those often in books for middle grade readers (they can be confusing). Including backstory through dialogue is one way people try to avoid the “show not tell’ problem, but as author Elana Johnson says, this can be really awkward and unnatural sounding. How much do you rely on backstory? Do you have any tips to share? *As always, if you know of any great posts on backstory, please let me know in the comments and I’ll add them here for our reference. Elana Johnson, author of the YA novel, Possession, has some thoughts on using backstory for world building. Laura Pauling’s take on backstory. Becca Puglisi of The Bookshelf Muse gives us some strategies for using backstory in this guest post at Sherry's Fiction Writing Tools. At Writing While the Rice Boils, Debbie Maxwell Allen has a series of 4 posts by Randy Ingermanson that give us a thorough look at the topic of backstory. Over at Literary Rambles, Casey McCormick posts a great tip on how much backstory to include from one of her blog readers, Carmen Ferreiro-Esteban. Rachel Larow of Mommy Authors gives some tips on balancing backstory. Literary Agent Rachelle Gardner gives advice on strategic ways to use backstory, especially in your novel opening. Author Jody Hedlund weighs in on how much and when to use backstory. Kristin Lamb on backstory as the 4th deadly sin of writing. At the Query Tracker blog, Stina Lindenblatt talks about backstory. Author Mary Carroll Moore talks about how backstory can help or hinder. After Violet's TV-director dad leaves their family for a new job, new house, new blond actress wife and new twin baby daughters, Violet has a little difficult adjusting. Three years later, she’s still feeling angry and definitely has an attitude. She doesn’t hide her feelings about her father deserting his family. She’s protective of her little sister, who still wets the bed after the trauma of the divorce. And she watches out for her mom, who keeps dating men that just don’t measure up. 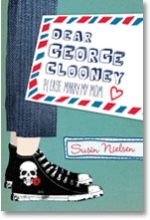 When her mom starts dating Dudley Wiener (who wears vivid hand-knitted sweaters), Violet and her friend Phoebe decide they have to take matters into their own hands and help Violet’s mom get a decent man: actor George Clooney. Meanwhile, Violet is struggling with her own feelings about a boy named Jean Paul. I loved seeing the world from Violet’s perspective, even though it shocked me sometimes because she did things I didn’t expect (or wouldn’t do myself). This was a great study in character for me. I liked the uniqueness of Violet’s character and how she’s dealing with so many of the issues that face readers of middle grade books, such as starting to like boys, a family break up, dealing with the “mean girl” at school, figuring out how to get along with a step-mom, helping out with a little sister. This is a stand alone novel. It has been named a Canadian Library Association 2011 Honour Book. Susin Nielsen is a television writer and editor and has worked on many television series, including Degrassi, Degrassi Junior High, Ready or Not, Heartland, and Robson Arms. For more info, visit Susin Nielsen’s website. Here it is, my birthday again. Last year, I posted my list of birthday wishes. Today, my wish list could be exactly the same, except that I'm working on a different novel. Huh. Does that mean I'm not making any progress? Or that my life is kind of boring? 1. Writing success for all my critique buddies. They've helped me out so much this year, I want something good to happen for them. In fact, let's spread the joy around. I'm wishing all my blogging friends something good, writing-wise. Your support and comments really brighten my day. 2. A magic plot wand that fixes all the plot holes and tangles, miraculously cutting away the stuff that doesn't belong. 3. More sleep! I know this is the same as last year, but I'm really feeling exhausted lately. In fact, I think I may spend part of my birthday indulging in a nap. Or at least reading a good book. 4. An extra hour each day to do the other fun things I don't seem to get to because I'm writing...like cooking experiments, sketching, actually working on the scrapbooks that I keep collecting things for, or playing more board games. And by the way, I could still use one of those revision express passes! Are You Writing What's Right for You? One of the things I think about when I get "not for me" responses is whether I really should be writing the kinds of things I'm writing. Is it the right genre? Am I writing for the right age group? Maybe I should be doing something else altogether. This week, over at MiG Writers, some of us talked about why we're writing YA or MG. Thinking about the why reminds me of how much I love it. If you haven't read our post, check it out and let us know why you are writing what you write. One of the things I love about writing MG is a sense of connection to my audience (kind of funny, in light of the "no connection to the work" responses I get about my writing). I love getting a chance to think the way a kid thinks, and letting my characters explore things I never did when I was that age. For me, writing is like a huge escape into another world, which I suppose is why I often feel so fired up and refreshed after a writing session. But I think if I was struggling to write in a genre that really wasn't for me, writing would leave me really drained and probably grumpy. Is Writing in Your Family? The other day, I was jotting a To-Do list in my writer's notebook (I know, lists of household jobs don't really qualify as writing but just bear with me), when I got thinking about my eccentric great-grandfather, who used to keep tiny notebooks full of lists. His lists were more about what he ate or the costs of things during his day. But now, as I consider my own obsession with writing-to-help-me-think, it makes me wonder whether he wasn't a writer that just didn't have the opportunity to write anything more than his lists. I know I'm related to a magazine editor and an artist/writer, but maybe there are others. There must be something about the way we think that makes us more inclined to write. Is it hereditary? Today is Thanksgiving for us up here in Canada, so I'm taking the day off to rest and eat turkey. One day in the summer, my daughters and I started generating a story inspired by licence plates as a way to fight the boredom on a long drive. Our only rule was that we had to use a new one in each story bit. How's that for story-building! 1. Character names, especially for sci-fi or fantasy. Some recent ones I saw: NINAKS, ANZY, TYTAN, DR SAME. Don't these just make you start thinking about character traits? 2. Psychology of a character. You can also think of these plates a different way, and wonder what the person is like that chose that plate. Why did someone choose 5 EVANS for their plate? What kind of person are they? 3. Names for vehicles, cities, other worlds. I'm thinking about what life would be like on DIGNITY9. 4. Made up swear words. Those random combinations of letters are great for this. BLEB! Have you ever had any creative inspiration from licence plates? Do you have an awesome writing group? If you don't, I hope you get a chance one day to find one. I feel so lucky to have not only a family that supports me, but also this circle of writers, who really understand what it is like. Who supports you in your writing? And speaking of supporting each other, over at MiG Writers, we're still hoping to reach 60 comments to support the MAGIC (Major Aspects of Growth in Children) Foundation. Please check out our post and consider commenting. You'll have a chance to win a free book (and with so many books up for grabs your odds are pretty good).